A couple of months ago I was asked in a radio interview who I am, where I come from, how I started La Voz, and more. My answers left them astonished, “Mariel, I thought that I knew you, but I knew almost nothing of what you told us!”, one of the hosts confessed to me. Another colleague at another radio station told me that he wanted me to come on to his program to speak about the same thing. So I am realizing that there are people who are curious to learn more about me and the magazine. Seizing the moment that in this month La Voz is celebrating its 12th year anniversary with a fundraising party on July 24 (tinyurl.com/sonandolavoz), I will go ahead and tell you all a little bit more about my story as an immigrant and as the director of La Voz. If you’re not interested, please turn to the next page, this month’s La Voz articles are very juicy! I was born in Buenos Aires, Argentina, the daughter of a flight engineer and a small business owner. I was fortunate to visit many places around the world thanks to my dad’s job, and to see and experience the fruits and great efforts of small enterprises thanks to my mom’s clothing store. The combination of both experiences, plus my extroverted and curious personality, and extensive education, made me believe that anything is possible, if you really set out to do it. I moved to the United States in the summer of 2003 and since then have lived in the Hudson Valley area near Bard College. Before coming to the United States in 2003, I lived and worked for two years in Spain, and previously in Buenos Aires, where I earned a degree in journalism and studied legal and commercial translation at the Catholic University of Argentina. I have worked for different mass media groups and independent media in Argentina, Spain and the United States as a researcher, writer, translator, editor and radio and television producer. In 2005, I earned a bachelor’s degree in Spanish and Latin American and Iberian Studies from Bard College. Overall, I enjoy the challenge of learning. In 2008, with the goals of gaining credibility and enhancing my business skills, I pursued a Master’s degree in Business Administration from NYU, Stern School of Business. In May of 2012, nine months pregnant with my first baby, I climbed the steps to the stage of Radio City Hall to receive my MBA degree. In all, my upbringing, travels, extensive education and work experiences have shaped who I am today. Being a mom of two small children (my baby boy was born a year ago), has given me a renewed perspective on how finite our time is, and how even more important it is to transcend our limitations to have a positive impact on our families and communities. 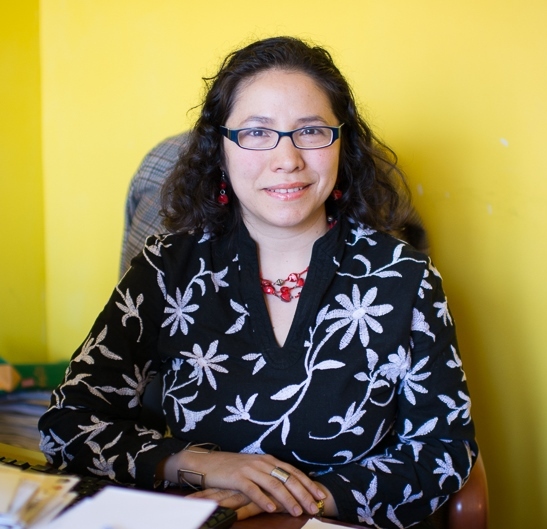 I am the co-founder and managing editor of La Voz magazine, a monthly publication in Spanish that empowers its Hispanic immigrant readers in the Hudson Valley through actionable information. In the spring of 2004, Emily Schmall (then a student at Bard) and I released the first issue of La Voz, a Spanish-language magazine aimed at bridging the Anglo and Hispanic cultures. Despite the growing immigrant population, there was no Spanish-language news source in the Mid-Hudson Valley. Upon my graduation from Bard in May 2005, I presented a proposal to Leon Botstein, the college’s president, in which I envisioned La Voz reaching a wider population through a larger circulation, greater distribution channels and frequency. I was hired as the managing editor of La Voz in September 2005. Today, with the contributions of student and non-student writers, La Voz has an estimated readership of 20,000 in over twenty towns in four counties. Accepting the status quo is not part of my blood, my upbringing or background. We need to use whatever tools we possess (i.e. education, network, time and/or money) to help improve the part of the world where we live. In my case, I do it through my passion for communications. See you on July 24th!